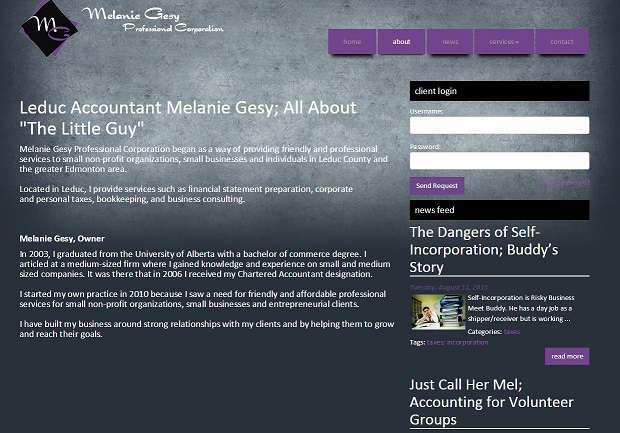 A crisp sophisticated look was called for to promote Chartered Accountant Melanie Gesy Professional Corporation's website. 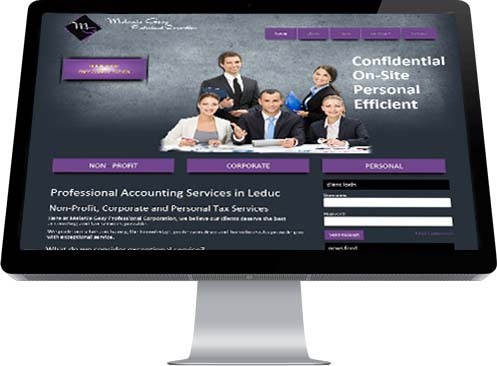 Trust is an essential component of offering accredited professional services and it was imperative this website reflected the expertise available from our client's firm. 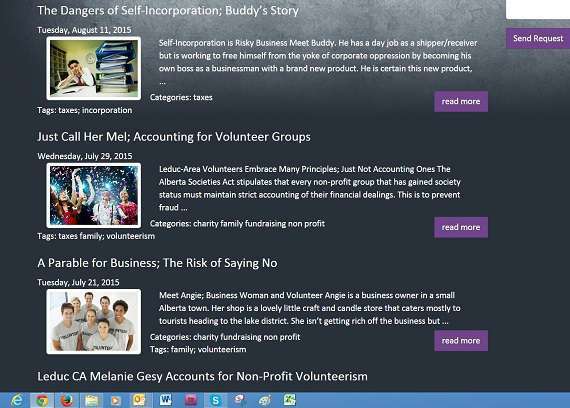 Towards that goal, Industrial NetMedia was contracted to construct a website that had a number of features designed to enhance client engagement and instill a feeling of trust and authority for any potential clients who visited her site. Here are the facets created by INM to do just that.